best-in-class sales and service support for Isuzu customers. "This is important move towards increasing our network in the country. Our first dealership in central India demonstrates our consistent effort in reaching our customers to offer them best-suited products for their business. We are happy to be partnering with Patwa Motors," said Shigeru Wakabayashi, Deputy Managing Director, Isuzu Motors India. 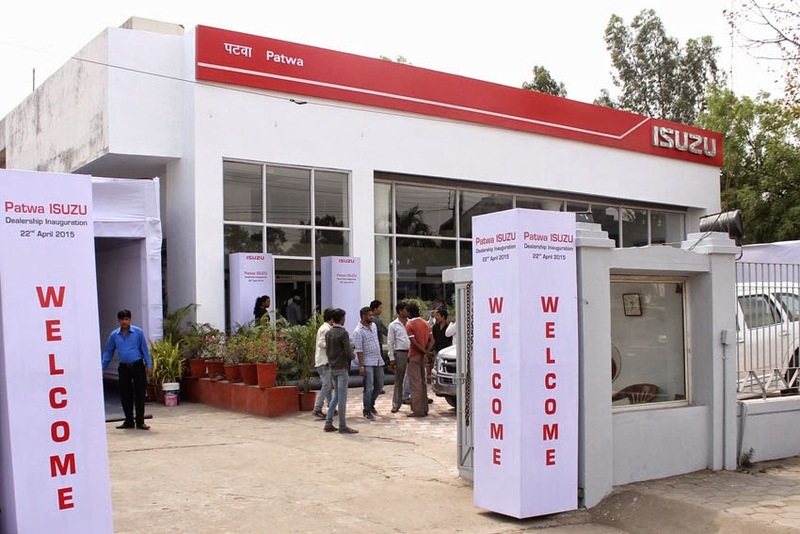 Hemant Patwa, MD, Patwa Isuzu, added, "We are happy to be associated with Isuzu Motors. With this dealership we plan to bring the best of Isuzu's world-renowned pickup trucks and sports utility vehicles to this part of the country. We will continue to offer the best sales and service support to all our customers with Isuzu."